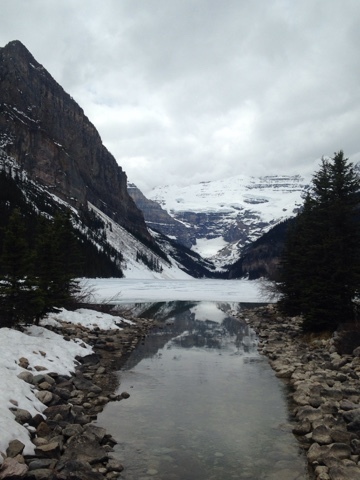 Lake Louise, Alberta April 24, 2016. I have had a couple of comments linking to services and goods. Any of these will be promptly deleted. I found this purely by chance. 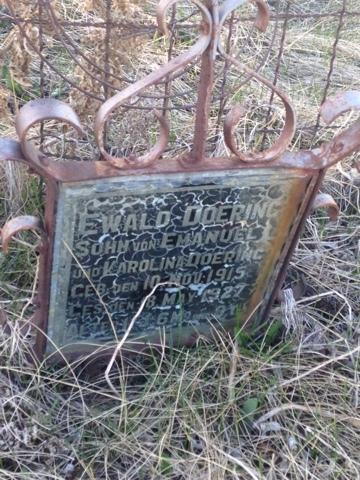 It is an abandoned cemetery sitting just off Highway 41 travelling south of Highway 1 east of Medine Hat, Alberta on April 9, 2016. The earliest date is October 13, 1925. The last date is June 27, 1944. 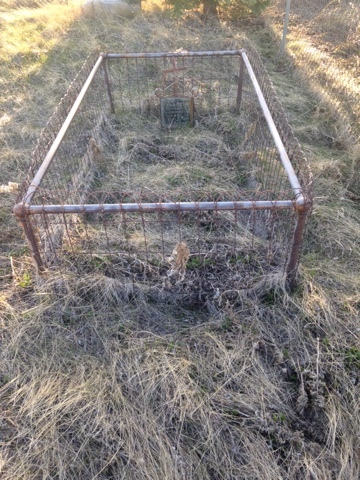 Someone put of a list of all the people interred here. 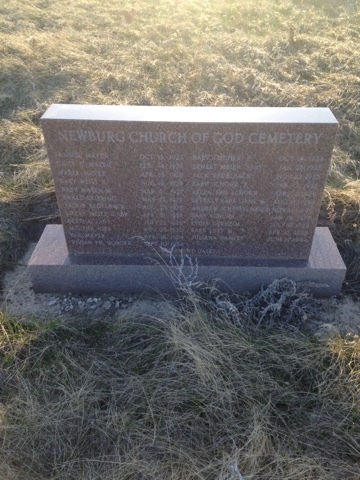 A number of the graves do not have markers. 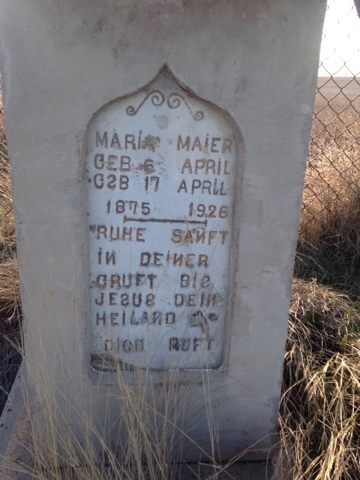 I have been told that the wording is Low German and reads "Rest peacefully (or gently) in your tomb (or grave) until Jesus your saviour calls you". I have seen markers exactly like this in totally different areas of Alberta. The name seems to be German. 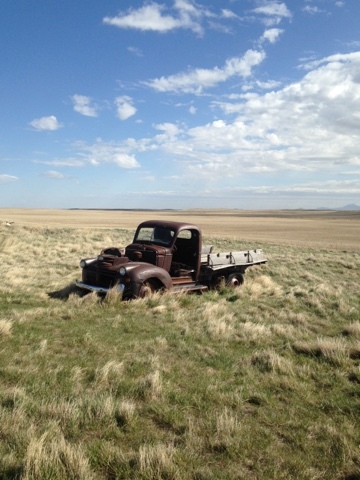 I "found" this just off Highway 879 on my way north to Foremost, Alberta. 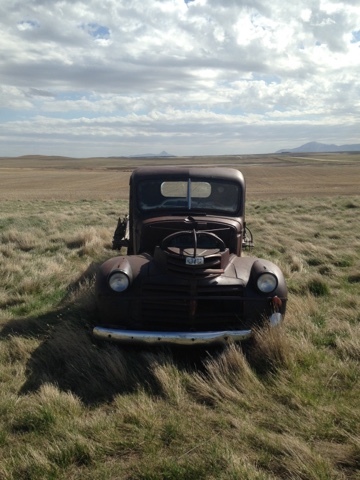 In the far background are the Sweet Grass Hills in Montana. Taken April 9, 2016. Certain things can remind you of people. 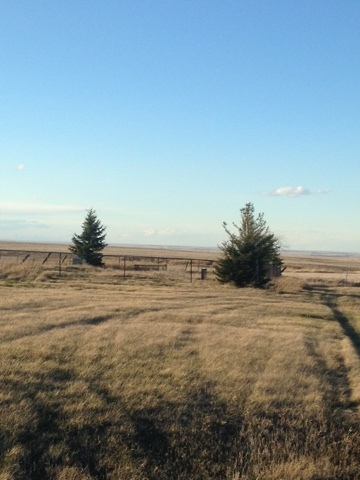 There is what looks like a housing development starting up between Calgary and Airdrie. This is one of the many pieces of equipment sitting there. In another place and time my father worked for Finning Tractor and they serviced and sold Caterpillar equipment. My father loved Finning and he loved Cat equipment. When he went out the door he was never fully dressed unless he had the "Cat Diesel Power" hat on, or the "Cat Hat" as it was commonly known. "Cat Hats" were sometimes better than money. There were a few times he would need something done and throwing in a few new "Cat Hats" would grease the skids. He worked for years as a mechanic, in sales, service, and management. 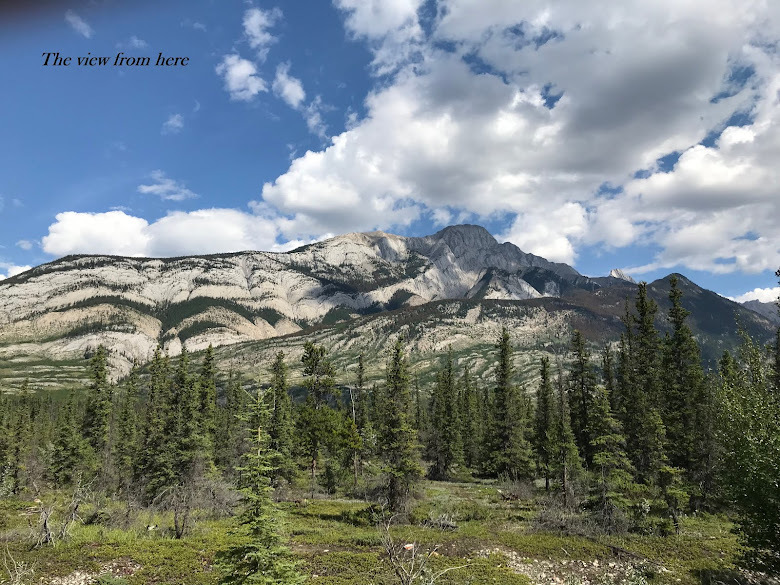 During his time there we lived in different places in British Columbia as my father liked to put in for transfers to out of the way places. 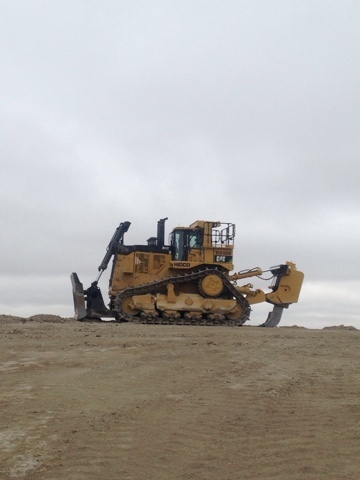 The father of a friend of mine who once lived in the same remote northern British Columbia town that I once did worked as a dozer operator or "Cat Skinner". He works as a university professor and has had to explain the term a few times. It is not nostalgia. A few sights cannot help but bring up some memories of other times and places. If I see a piece of Cat iron somewhere, new or old, I usually find myself stealing a quick look. 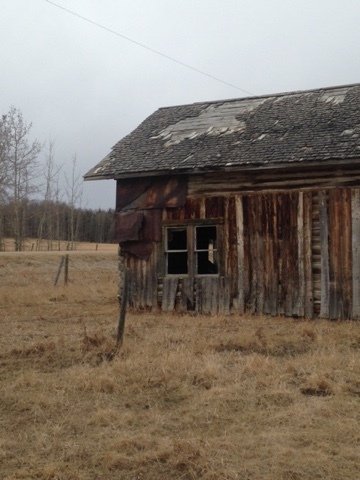 Near Gem, Alberta April 16, 2016. 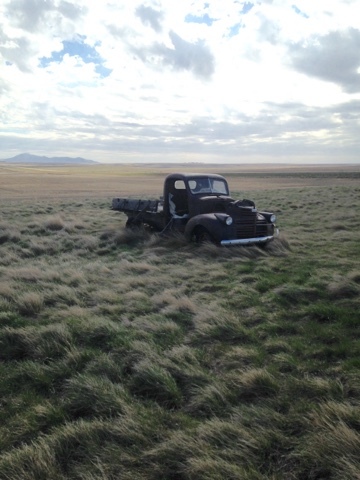 Taken in fading light on Eagle Butte Road a bit south and west of Medicine Hat, Alberta. 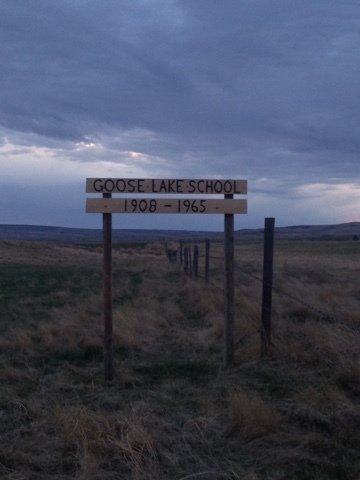 A sign saying Goose Lake School once stood here. No trace remains. 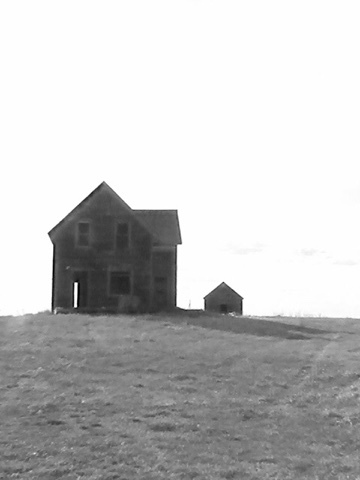 I love the dark look of the empty prairie and the fenceposts receding into the background. Taken April 9, 2016. 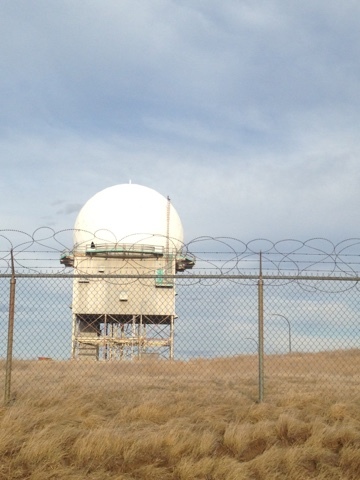 In the absolute middle of nowhere in Alberta you can run across stuff. I originally thought this was an old school. I took a closer look and it looked too big for a school. 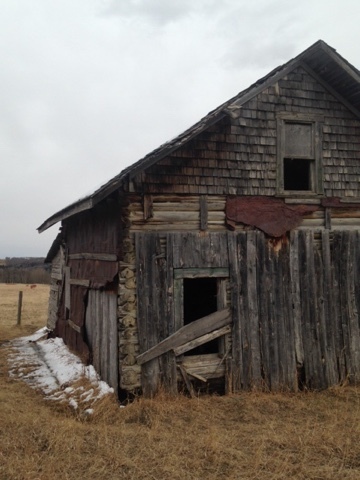 According to a fellow local history fan it is not one school, it is two former one room schools combined, the Burlington School and the Altorado School. It became a hall in 1951. These days the nearest farm is a few miles away. The nearest town is over twenty miles away and has less than six hundred people. I was there April 9, 2016. It is boarded up, no name on it, the door is secured. I am surprised it is still standing. April 24, 2016 I was at Two Jack Lake with my friend Ron. While taking some photos a car stopped and some young Asian women were taking photos. They started doing some group photos so I casually asked that if they wanted I would take a photo with all of them in the picture. One handed me a camera and everyone posed. Then another one handed me a camera and I took another photo. For five young ladies I did this five times with five different cameras. A number of photos were taken and everyone was pleased with the results. I might be in the wrong line of work. 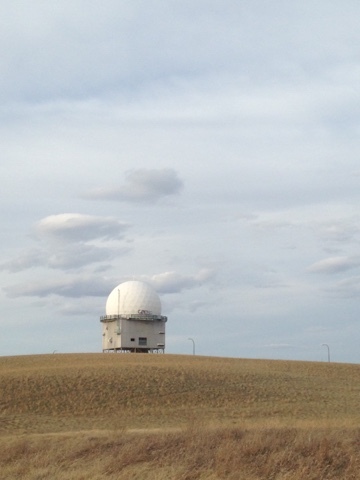 I spotted this from Highway 317 travelling south from Macklin, Saskatchewan on April 2, 2016. I really do not plan trips, I just end up in certain places. 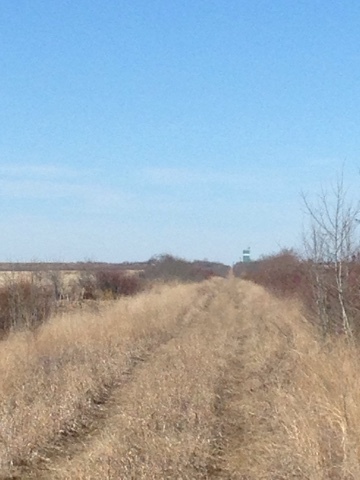 I saw the church off in the distance and was undecided if I should turn off the road to investigate. This was worth the short detour. I have never seen one of these on a rural church before. I found this amazing. I know nothing of this history of this area. It stands to reason that the people that settled this area were German. This bell was in the churchyard off to the side. There was no lettering on it. The church was locked. Of course I would love a look inside. 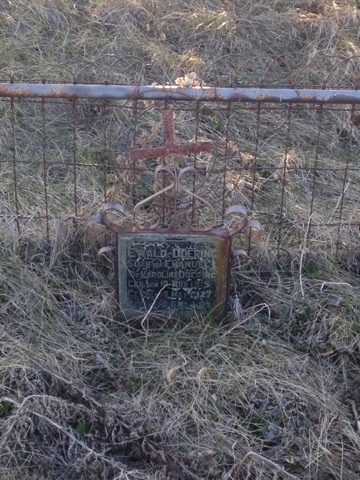 A few hundred feet west on the other side of the gravel road is the cemetery. I have never encountered crosses like these. An amazing sight and well worth the trip. I just like the look of this. Taken on a mindless road trip on April 2, 2016. 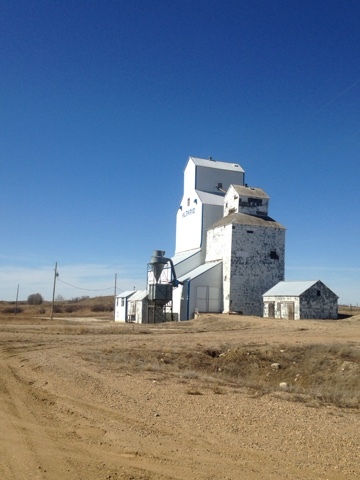 Compeer, Alberta is very close to the Alberta/Saskatchewan border. The town is close to ghost town status, there is not much here. 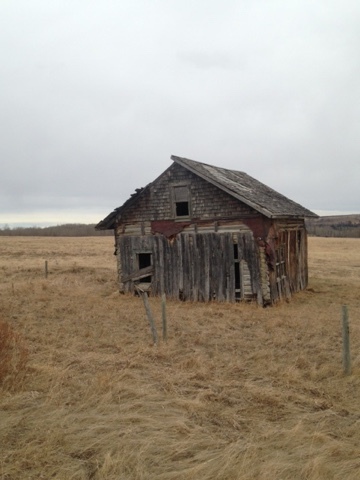 A friend of mine used to frequent this hotel years ago, he used to live on a farm south of here about twenty years ago near Esther, Alberta. 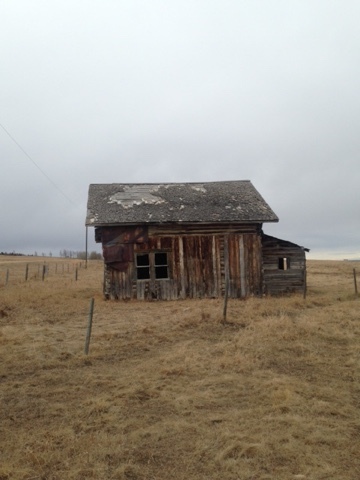 Another place in a line of small disappearing Alberta towns. 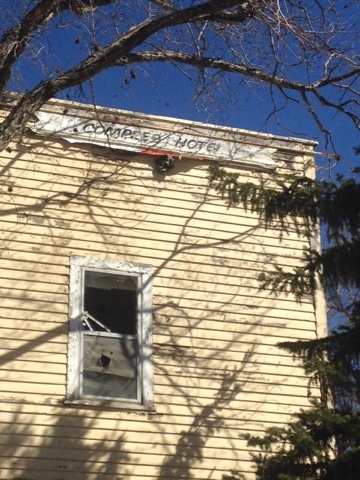 The hotel has been abandoned for years. I had wanted to see this and got the chance on April 2, 2016. 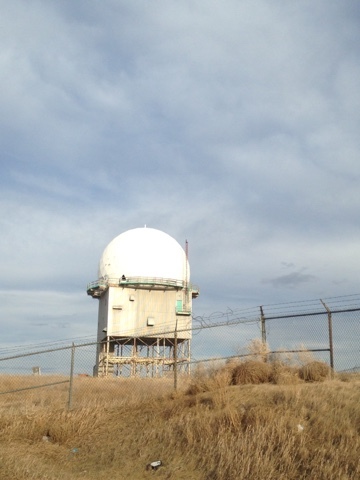 This dome was part of the DEW (Distant Early Warning) Line to give advance warning of a Soviet attack. 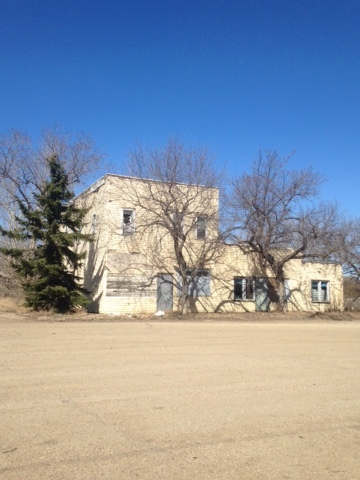 There are a number of abandoned buildings in Alsask that used to house military personnel. 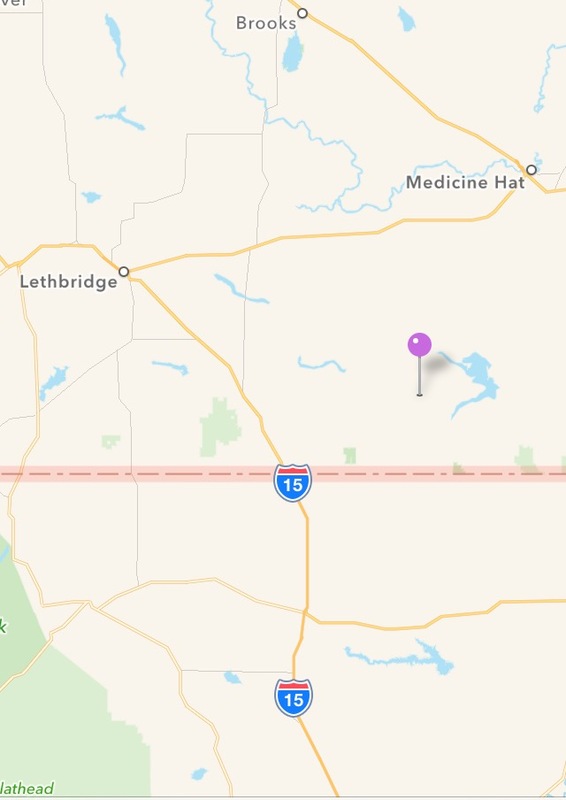 Alsask (Alberta/Saskatchewan) is right on the border. 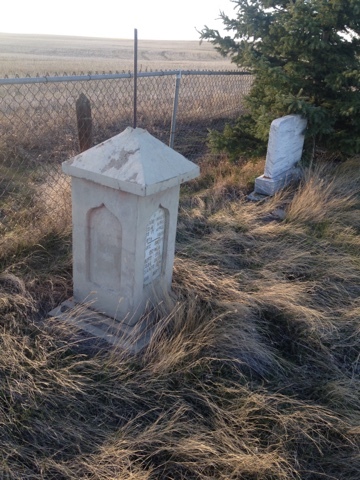 The town is in Saskatchewan, the cemetery is in Alberta. The RCAF base (Royal Canadian Air Force) ceased operation in 1987. This was taken during a short foray into Saskatchewan on April 2, 2016. It was in colour, I played with it and I think it looks more interesting in black and white. 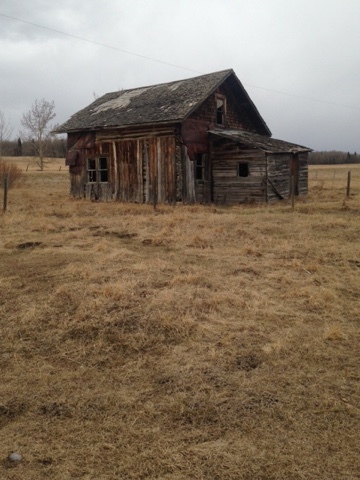 East of Halkirk, Alberta on April 2, 2016. 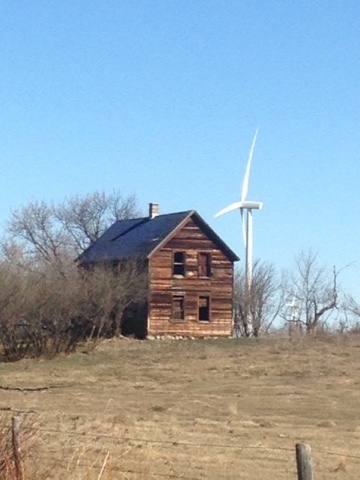 Abandoned house by a modern windmill. Personally I do not like the modern windmills and I still think they are a blight on the landscape. I doubt we could have a better monarch than Queen Elizabeth II. I have a great amount of admiration for this lady. 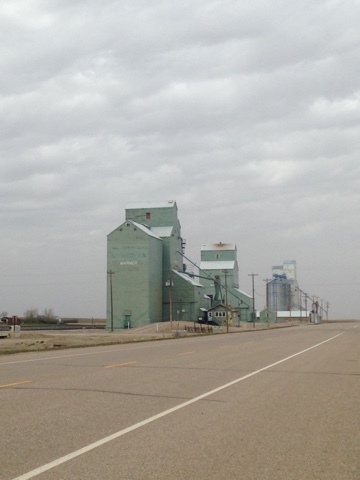 The elevator in the background is in a town called Halkirk, Alberta. 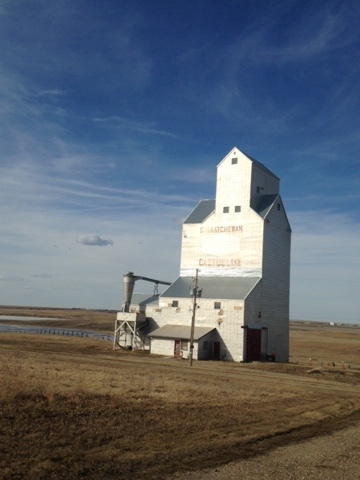 Spotted this while driving south on Highway 317 turning west on Highway 51 in Saskatchewan on April 2, 2016. The elevator is in what once was Fusilier. The town has been a ghost town since about 1967. There are no residents and there are a few buildings. 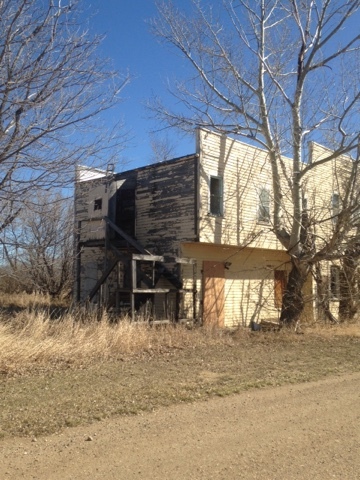 The elevator and remains of the town are on private property. There used to be a rail line through here that was torn up in the 1980's. Just up the road from the town. Spotted on April 2, 2016. North on Range Road 45 off of Township Road 302 a bit northeast of Water Valley, Alberta. This was once a house that someone lived in. Someone also fenced off a little triangle of land that this building sits on, so it is likely important to someone otherwise they would have torn it down. I would like to know how old it is. It is very small, living there was probably not easy.